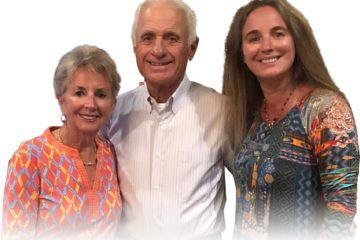 Submitted/From left, Alan and Laurie Staller, Shilo Previti, Billie Staller outside the Paul D. Staller ’97 Writing Room at Stockton University. 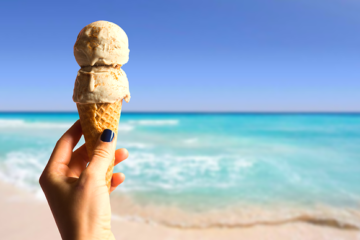 GALLOWAY TOWNSHIP – Stockton University student Shilo Previti of Northfield is the 2019 honoree of the the Paul D. Staller ’97 Writing Tutors Endowed Fund at Stockton. Previti is the head writing tutor at Stockton’s Writing Center and will graduate in May with a major in literature and minors in Latin and philosophy. 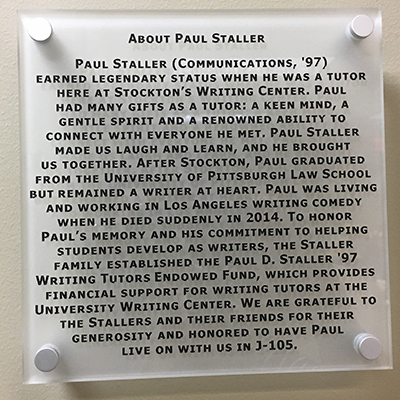 The fund was established by Alan and Billie Staller of Margate in memory of their son Paul, a 1997 graduate of Stockton with a degree in communications studies, who worked as a tutor in the Writing Center. Paul Staller died in 2014 in Los Angeles where he was working as a comedy writer. 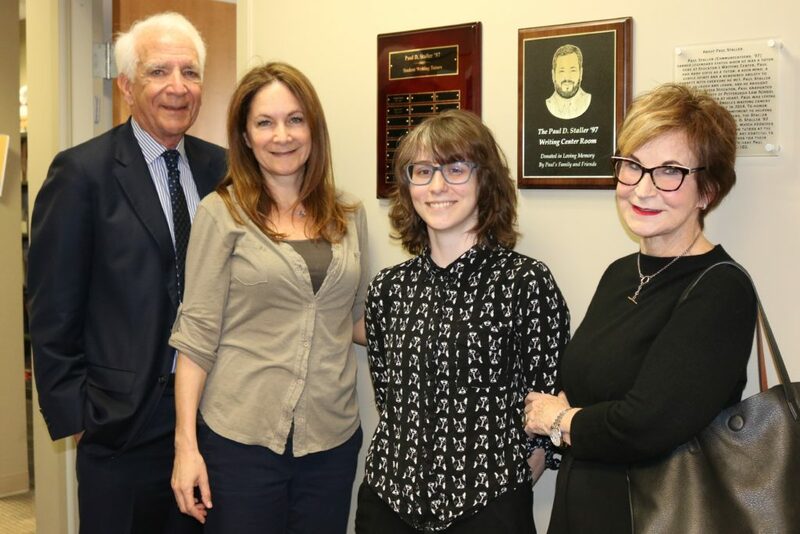 The Stallers, along with their daughter Laurie, visited the Writing Center on April 11 to meet Shilo and commemorate their son.